The elections will be held at the end of the four-year term, Greek Prime Minister Alexis Tsipras said on Friday addressing SYRIZA parliamentary group. He underlined that this government has brought offset measures, the return of the collective agreements, labor normality, and measures on the debt adding that we will be the ones who will implement them. 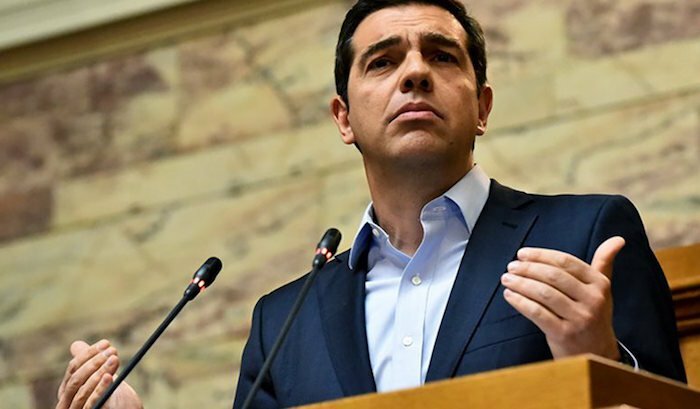 Tsipras also stressed that this government will get the country out of the supervision status.“Greece will stand again on its feet,” he underlined. “We are now in a position to plan the next day and another productive model, and we won’t do it with the institutions, both with the productive and creative forces, as well as the administration, and we have already started doing so,” the prime minister stated. Tsipras also stressed the importance of commitment to the reform policy. He underlined that we should never forget our target, to get the country out of the memoranda and the sometimes humiliating supervision in the summer of 2018. We politicized the negotiation, creating allies, we had a plan, we achieved a primary surplus in 2016 eight times higher than the institutions’ estimates and 42 times higher than the IMF’s estimates, he noted. The Greek prime minister also noted that we secured offset measures with zero fiscal impact, we secured a balanced agreement.”It is not my intention to hide that we also made compromises as it is always the case with agreements,” he stressed. He underlined that the most important thing of all is that the creditors are forced to proceed with substantial measures on the debt relief so that it is rendered sustainable.